I was watching television and I heard something outside on the porch deck. I thought maybe there was somebody outside. So I walked slowly over to the back door leading to the deck and checked to see if it was locked. It wasn’t so I locked it. I then sat on the couch to look out the row of windows to see if someone was on the deck outside and then I looked to see if somebody was in the yard behind our house. All of a sudden a beam of circular light appears 6 feet away from me onto the deck. It was about 1 foot in diameter. The beam was not like a flashlight or a dull porch light. It was bright white almost too bright I couldn’t even see the color of the deck anymore. I watched one of our cats run around one of the lights as if it was scared. 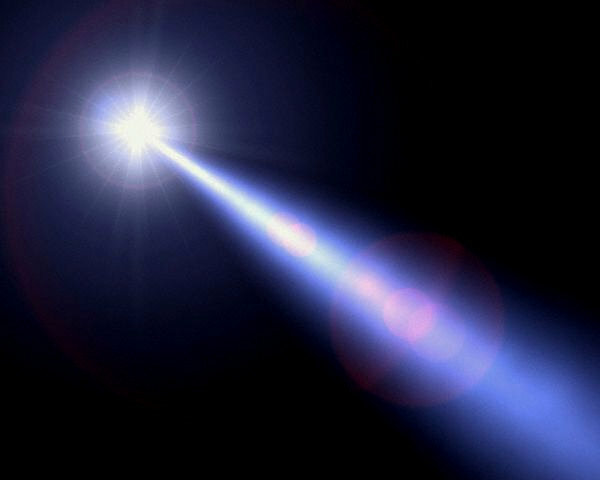 Then another light appeared exactly the same as the first, the second beam of white light appeared about 3-4 feet from the first beam of light. They both were stationary, I just stared and I had no clue what these lights were, because I knew they were different than any lights I had ever seen. So I started looking up and the lights were coming from darkness in the sky right above the house. I knew what I was seeing was not possible or was very rare to ever happen, and then the thought of aliens and UFO popped in my head. I tried my best to study the beam of light and how it could be so perfect and straight. 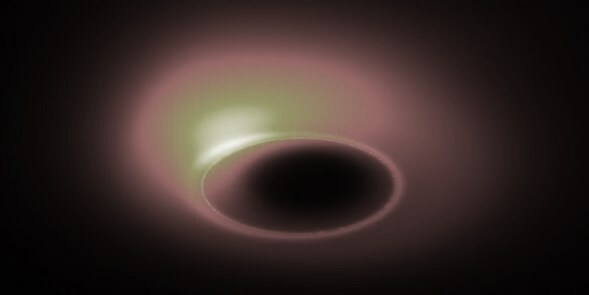 It was as if the light came from its source and then there was no trace of it leading to the circle itself but there it was a circular beam of white light. I watched the first light disappear, and after that I ran away from the windows. Now that I think about it I have a theory of what this possibly was. 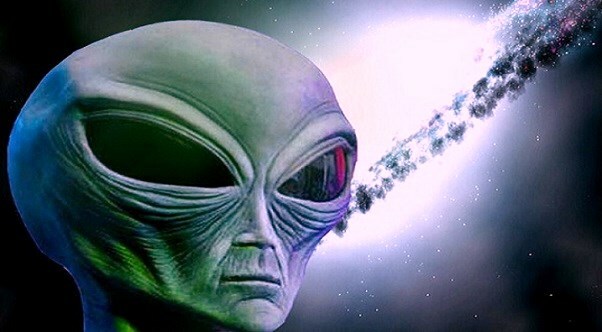 What if there was aliens visiting earth and the beams were there to pick them up to beam or materialize the aliens back to the ship. The cat was scared so maybe the cat sensed or saw the aliens they could have been invisible and beamed up to the UFO. Just like in Star Trek how the people would stand on the white circle to be beamed down to the surface of a planet. NOTE: The above image is a rendering. In response to an earlier email requesting UFO information during the Vietnam conflict, I’m placing my father’s experience during this time at the end of this email. My Dad was stationed in Thailand but flying missions in and out of Vietnam during the conflict. On one occasion he was flying a mission over Laos when he encountered the UFO. The following is as he told it to me. He also did a drawing of the craft which I have with my other photos regarding this anomaly. The phenomenon seems to run in our family covering at least three generations so far: There was an incident in 1967 involving my father. He was a full Colonel at the time and a veteran pilot of WWII as well as the Asian military conflict. He was flying a mission over Laos when he was approached by a UFO. 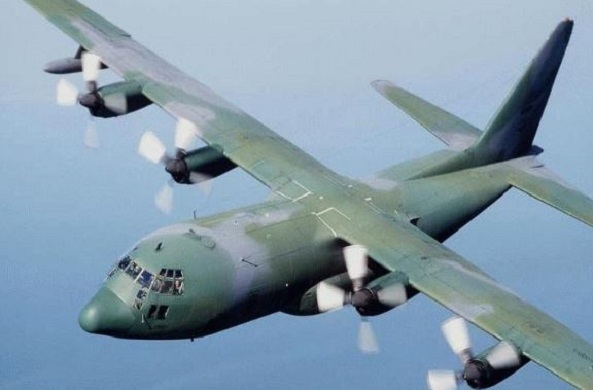 He said he was flying a C130 at 25,000 feet in a 70 mile orbit, (fly 70 miles, make a turn, and fly back, staying parallel to the equator), when the object approached. He said he normally sat on the left but, on this occasion, and he didn’t know why, he was on the right. The co-pilot on the left is the one who first noticed it and said, “Hey, Ed. What’s that?” At this point my father looked in the direction the co-pilot was pointing. His description of the incident is that it was metal colored, shaped like the hull or prow of a boat, and that it was flat on top as if it had been chopped off. There were no windows so they couldn’t see who or what was piloting it. There were no visible lights but that wouldn’t have been apparent anyway as it was a perfectly clear day. It came directly at his plane and “scared the hell out of” him. Duration was only a few seconds as they were traveling at a speed of about 350 mph and the craft was traveling at an unknown speed. He also stated it passed within a few feet below his aircraft but no mention was made of whether or not there was any turbulence and I didn’t think to ask at the time. I did ask if he was debriefed and what took place on the ground since it had been seen on radar. He said the co-pilot suddenly changed his mind and said he saw nothing. People in the military are afraid to report such things as it would go into their Ers, (Efficiency Ratings), and would affect their ability to get promotions. NOTE: The above image is a rendering. Special thanks to www.naturalplane.blogspot.com and Vivian Walker State Director/Senior Investigator, E.P.I.C. Louisiana. Top-secret documents reveal UFO sightings across Merseyside England. A Merseyside family begged the Government for help, claiming they were being terrorized by aliens. Their sightings of lights above their home are among the UFO files revealed this week. The Ministry of Defence released thousands of reports of extra-terrestrial objects made to its UFO desk. Among the previously top-secret documents was the tale of a Kirkby family desperate for help after a string of UFO sightings near their home. Turning to the Government for help, the family revealed: “We saw three bright objects flying in the same direction near our home. “They hovered for around five minutes before ascending straight up into the sky. Bright orange and strangely shaped, changing colours as we zoomed in, green, yellow, white, orange etc.” The apparent visit occurred three times on October 26, 2009, leaving the family desperate for help. 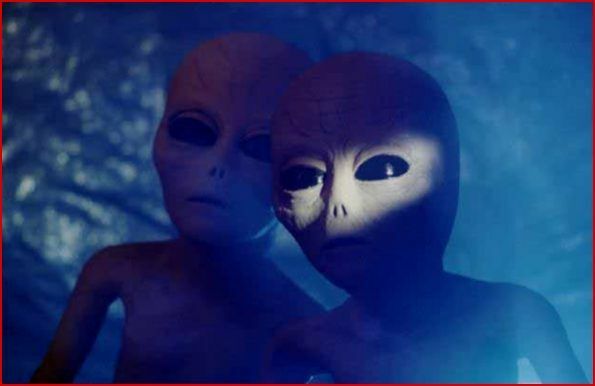 They pleaded: “Can you please tell us what these things are as my children are terrified that they are aliens; my son has seen these on two other occasions and is very worried. I have video footage if you require it.” The MoD responded to the request by saying they only investigate sightings “where there is evidence of a potential threat to the United Kingdom from an external source, and to date no UFO report has revealed such evidence.” The reports released by the MoD yesterday were the last batch of sightings sent to its UFO Desk before it closed in 2009, and cover the period from late 2007 to the department’s closure. It was closed after the MoD decided “investigations into UFO sightings, even from more reliable sources, serve no useful purpose and merely divert air defence specialists from their primary tasks.” But Merseyside UFO expert Pat Regan argued the UFO Desk’s closure was a decision that left British airspace vulnerable to attack and witnesses forced to rely on the media and other experts to investigate their fears. He said: “I think it leaves us wide open. I have always said 95% of sightings can be passed off with mundane explanations – fair enough. “But there’s possibly 5% that remain unexplained. It is something going through our sovereign airspace and the MoD are washing their hands of it.” Mr. Regan, from Southport, added: “A few years back Liverpool was a bit of a hotspot, it was buzzing. We noticed that large bodies of water such as the Mersey and Ribble Estuary always seem to attract UFO interest for whatever reason. There are all sorts of outlandish theories – some they are fuelling up, other people are saying they are testing drones.” The Kirkby sighting was one of many in Merseyside that year. Back in May 2009 dozens of people reported glowing lights moving across the Merseyside sky, with sightings recorded from Mossley Hill to Southport. 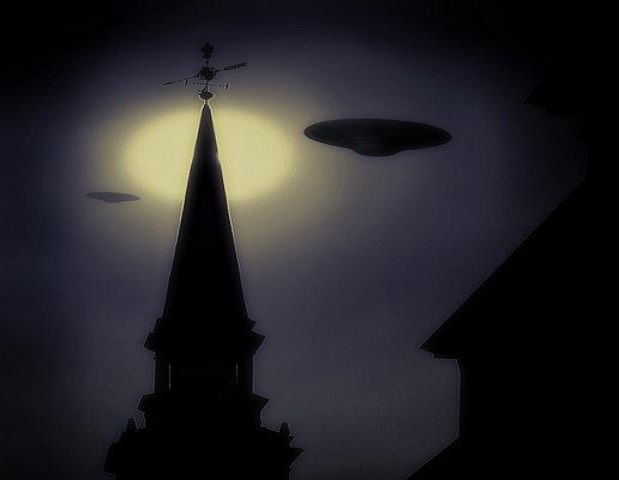 In 2008 reports of an alien spacecraft over Wallasey town hall and UFOs over Liverpool were included in Government UFO files. NOTE: The above image is a rendering. Investigator Evelyn Galson writes, “On February 5, 2004, George Filer and I went to talk to Ann Francis, and investigate more about her experiences. She was open and friendly and seemed very sincere. She revealed to us many things that her family had been experiencing. Ann Francis has had some college, she was also a member of Mensa for very high IQs. The society welcomes people from different walks of life whose IQ is in the top 2 % of the population. She left college and ended her studies because she wanted to get married, but is now planning to return and take classes in physics. When she was a young child she lived in Pennsville, N.J. on a dead end road surrounded by woods and a swamp. She was told never to go into the woods by her Mom. When she was three years old, she was taken out through the window of her bedroom by two beings. These beings looked like Pebbles and Bamm Bamm from the cartoon called The Flintstones. She was taken high above the trees, down below she saw a round ship on the ground with an opened hatch. Standing in the open hatch she saw a tall Gray with long arms and legs. She had, also, seen another ship just above the ship that was on the ground, but high in the sky. As she watched she saw trucks with canvas tops coming down the road she lived on. The beings that had her changed their appearance, they were now small Grays. They kept her just below tree level moving her in and out as if to hide her, they didn’t want her to be seen. She doesn’t know what happened in between this time period, it is a little unclear. The next thing she remembers is being dropped from above and falling onto her bed. (As an adult she realized the trucks were military vehicles.) When she was a young girl she had a game she played with her sister. She had the ability to locate people if she concentrated on them. Her sister would go in her room and Ann could tell her exactly were she was in the room at different times. This really made her sister nervous, because she couldn’t understand how she was doing it. Ann didn’t know how she did it either, just that she was able to do it. Ann’s grandparents lived in Glassboro, N.J. and she remembers playing in the backyard with neighborhood children and seeing small triangular shaped flying objects with lights and buttons on them and two handles on the front. She remembers that the children could fly and ride on them. They were young, so they didn’t question their ability to fly or where they came from. NEW YORK – When Ann was older she was still having experiences while living in New York, she was taken up into a ship and was told by gray aliens to remember what she was seeing. Looking out the window of their ship, she could see into the windows of a huge craft that was right next to them and she could see people and Grays. KENS NOTE: I started investigating for George Filer and MUFON in 2006. We have had a couple more alien abduction cases in the south Jersey area. One in Glassboro and one in Camden New Jersey. There are sincere people who have had a very strange experience. Dealing with the experience is the hardest part. It seems that talking about it has helped in many ways. Sometimes you are afraid to open up Pandoras box but sometimes it has to be done. I applaud the witnesses who have had the courage to come forth with their abduction experiences. NOTE: The above image is a rendering. Maybe around midnight my mom and I were coming home from a friends house, on the back roads, when I saw what I thought was an airplane flying very low and coming toward us. As I looked on I noticed it was way too big to be a plane and it was blue. We were close to the house when we noticed that it was directly over our house. I was so frightened I was shaking internally. When we pulled into our driveway and parked I jumped out of the car and ran inside, mom following. It was so quiet and the thing was RIGHT OVER OUR HOUSE. It was probably 500 feet or so above it . It was so quiet and my mom and I didn’t know what to do. I think I was scaring her because I was so scared, so we actually turned all of the lights off and laid in bed together holding each other with the covers over our heads. Honestly I was frightened of what I would see and what that might mean. I could not tell you what happened next. I don’t remember anything after we jumped into bed. Also, I did not see it leave because it was above our house when we went inside and did not go back out until morning. We figured we would see something in the papers the next day, it was not. We looked every day for a week or more but no news about it was reported. I have thought about this almost every week since it happened as has my mom. I had not spoke of this to too many people. I think because it frightened me on some level that is hard to explain. I am ready to talk about it now though, to someone who won’t just say ” Wow” or give me uneducated guesses of what I might have seen. It is time to get someone who has some knowledge on the subject to hear this story. Although this is not a very fancy, made-for-Hollywood story, it is true. There is the Reading Airport close by my old house, just for reference. NOTE: The above image is a rendering. 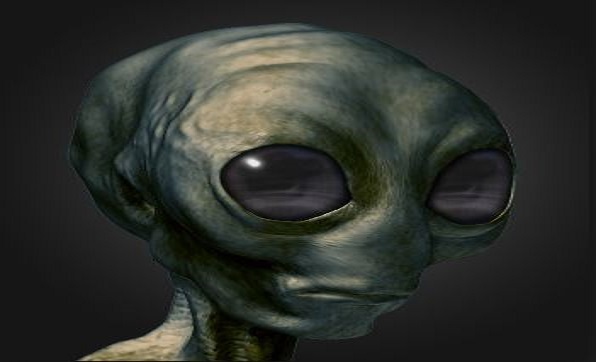 A witness in Clydebank, Scotland has reported sighting an alien craft dropping a probe, on 4 June 2013 at 9:05 PM. This report has been obtained from a testimony included in the database of UK UFO Sightings. The report was posted on 5 June, 2013. “I saw a plane take off from Glasgow Airport, from where I sit in the living room chair seeing the take-offs at this time of year is like a 5 – 10 minute occurrence.” Right then I saw what looked like something black falling off the plane; it went downwards then turned and straightened out level. At that point I considered that perhaps it had been behind the plane at an angle to which my vision of it was obscured. At this point I said “what the hell is that?” I pointed it out to my GF and told her to keep an eye on it as I grabbed my binoculars. On looking through the binoculars I could clearly see it was no plane or copter; this thing was black and it had the classic saucer silhouette, it was difficult to keep it steady in the binoculars as it seemed to move at first very smoothly; then was more like random jumping and floating. She quickly located it and said, “oh yes I see it that’s weird,” then she said “it seems to be hollow in the middle.” The best way I could describe it was to say that it looked like a car tire inner tube. The thing was traveling in the opposite direction from the plane at this point towards the west. We kept watching it through the binoculars until it was basically a dot then finally disappeared. Also to note as it was moving it gave off bursts of green-yellow light as it was moving not constantly but as if it did this as it was using power to push itself along. This came from the direction it was traveling toward the west. NOTE: The above image is a rendering. I was coming home from work it was about 1 am. I turned into my driveway and my house is a half mile off main road. Driving down my road, I noticed a light in my rearview mirror. I thought it was newly installed street lights but then the light started rising up too high to be a street light. I stopped my van got out and watched as several other lights begin to rise up from the ground level. They started moving in my direction at 40-50 feet high. They came within 200 ft.from me and I got back in my van and raced down my dirt road to my house. When I got out of the van I saw them coming. I watched them until they stopped overhead and hovered at tree top level. Unnerved, I got back in my van and drove like hell away from there back down my dirt road to the main road. In a panicked state, I drove to my friends house about 3 miles away but he wasn’t home. Driving back to my house there was a orange dodge ramcharger driving like a bat out of hell coming from the direction of my house. As I rounded the curve I saw the lights over the main road. The guy in the ramcharger must have seen them too. Driving about 80 mph I drove under the lights and back to my house. As I drove under the lights they started following me. When I got back to my house I could see them coming. When they came over my property, I went in the house and got my guns and came back out. They were hovering over me no more than 50 ft. I could have thrown a rock and hit them. There were 7 white orbs about 10-12 ft. wide. I raised my .22 rifle with a scope and was going to shoot but when I looked thru the scope to shoot, I could see right thru them, and see the stars behind them. As I was ready to pull the trigger, a very strong calming feeling washed over me and I felt at peace like nothing I’ve ever felt. I propped my gun against a light pole I was standing by and just watched them for what felt like 10 min. They started leaving, heading in a line towards the full moon. I watched until they were out of sight. When I went back inside my house I looked at the clock and it was 4:30 am. I know what I seen could not have taken more than 45 min to an hour. I can’t explain the missing time…. NOTE: The above image is a rendering. I was in my backyard laying on my back in a screen-sided tent texting on my phone. 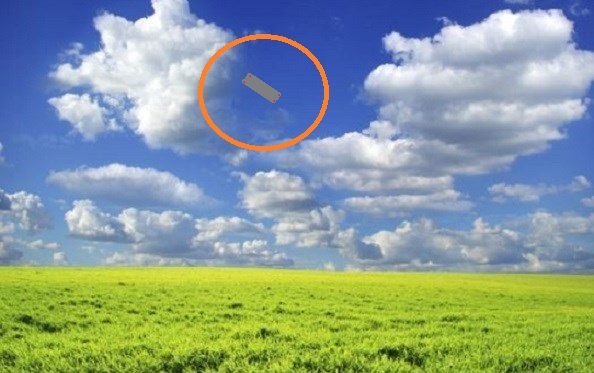 I noticed the object when I looked away from my phone and saw it silently making its way southeast overhead. I wasn’t sure what I was seeing when I first saw it because I knew right away it was unlike any aircraft I have ever seen. It was rectangular in shape and a silver-ish gray in color. It had red, green, and white lights strobing around the entire craft in a counter clockwise pattern. At first I thought it was flying south but as I watched it I noticed it was heading in a more southeast direction. It was going at what seemed to be a constant and relaxed speed, a bit slower than planes usually fly but not by much. A few times it looked as if it turned slightly transparent or invisible but the lights stayed the same, it was under cloud cover so I don’t think clouds were the culprit. It was completely silent and any plane or jet flying that low would have made noise. I felt calm and intrigued as I watched it. It certainly didn’t seem like anything to be afraid of. I was going to get a video of it but the camera on my phone is horrible and wouldn’t have picked it up. I sat and watched it disappear as it flew out of sight. I sat there for a moment and questioned what I saw and came to the conclusion that it was something rather unusual. I lost sight of it because where I live there are a lot of trees and houses and I couldn’t see past them. NOTE: The above image is a rendering. At that time I lived in the Longneck area of Millsboro, Delaware within view of the Indian River. Directly across the street was a large swampy wildlife preserve with the river directly beyond. The swampy area contained water deep enough for a kayak, and during a heavy rain even developed white caps. Really a lovely view from our third story deck. I often liked to go out on the deck to watch the stars. After living close to Philadelphia for so many years, complete darkness to observe the stars was a joy. This particular night I was looking at the stars when suddenly, and I do mean suddenly, a beam of light came out of the night sky and shone on the swamp directly in front of me. One second no light, the next a bright white light. Our complex was primarily owned by summer folk and they hadn’t arrived yet, usually after Memorial Day they would descend like locusts. Therefore, there were no other townhouses occupied at that time on our street. We were one of the few year-round residents, hence total darkness. There was absolutely no sound and no sight of where the light was coming from. The light covered an area of approximately thirty feet in circumference, coming from an elevation of approximately 200 feet, and was perhaps 100 feet or more in front of me. I think I was in disbelief for quite a while, then in awe, then wanting to call my husband two stories below to come look, but afraid if I turned away it would be gone. So I stood tranfixed for about 20 minutes and the light never changed its position. Then it was gone, like someone had turned off a switch. Still no sound. My immediate thought was I had a UFO experience, and I still believe that. I don’t tell too many people about it though. Don’t really want to get measured for a white jacket. I told my husband the next day and while he listened politely I could tell he thought Id lost it. However, that night it was back and I did call him to look. He was dumfounded. It only lasted perhaps ten minutes that night and I never saw it again. I have no evidence, only my experience which I will never forget. I was watching a program tonight about a woman who lived near Willow Grove, Pennsylvania in 2008, her sighting, and the ensuing MUFON investigation. It was the beam of light she described that caught my attention and compelled me to send MUFON the account of my experience. NOTE: The above image is a rendering. While driving home, between Berryville and Eureka Springs, Arkansas, at around 9:30 in the evening on DEC. 15, 1977, I saw a very large wedge or triangular shaped UFO. It was flying fairly low in the sky, not far above the treetops, and was nearby, so I could see it well. It was moving quite slowly. The UFO had four white-to-amber spotlights, arranged in a square. There were also several red blinking lights. There were two rows of windows, with a pale greenish light emanating from them. I heard absolutely no sound coming from it. I watched it for several minutes, spellbound. Then this huge thing sort of folded up on itself (sort of like origami) very quickly. The compacted version of itself then zoomed north, toward the state line. I wrote down as many details as I could remember when I got home. The next morning I went to work at the Eureka Springs Times-Echo and told the owner, Bob Wheeler, what I had seen. At first he was incredulous, but soon the paper’s phones were ringing with reports from police, the sheriff’s office, and the radio station. I heard that Ira and Frances Whitney had sent it. I walked from the newspaper office down to their Gem Store, where I interviewed them. I also interviewed a local man named Tex Belt who had seen the UFO, called a Berryville police officer who had watched the UFO for quite awhile, Unfortunately, our weekly paper was pasted up and ready to go to print, so Bob made the decision to insert a small article rather than run a front page story. I gave UFO’s little thought prior to actually seeing this one. I saw this before popular movies such as Star Wars, Close Encounters of the Third Kind, and E.T. were released. Though some of the people I interviewed seemed to be afraid, my experience was one of awe and wonder. In fact, I stayed up for hours that night watching the sky, hoping the UFO would come back. NOTE: The above image is a rendering. I’ve been interested in the Universe and physics for most of my life. I’ve spent many nights just gazing at the stars looking for unusual objects. I’ve seen hundreds of satellites moving slowly across the night sky. I’ve seen the space station as light reflected off of it from the sun as it moved across the sky. I used to see them more frequently living on a farm in Cross Plains, Texas. Now living in the city the lights keep me from seeing such a large number of stars and planets, but on some nights the visibility is good. On several occasions recently I’ve see what I initially thought was a satellite moving across the sky only to see it make a complete u turn and head the opposite direction and I’ve seen small dimly lit objects moving in different directions across the night sky changing speeds but nothing I could say for sure it was a UFO. Last night I was having a hard time sleeping, so at 4:00 am I got up and went out to the front porch, it was a good clear night. When I first stepped outside I look across the street toward the Western Sky where I frequently see bright planets and stars, but when I looked up this time I immediately saw this very bright circular object, it was a bright as a car head lamp at one block away. It didn’t cast a beam, it glowed brightly. I first thought to myself wow that is the brightest planet I’ve ever seen, not even thinking about UFOs. As I stood there for a few seconds it started moving away from me, so I sort of ran toward the road to get a better view. As I did this, the light started to dim until all that was left was a round transparent sphere. It looked like a clear glass ball in the sky. As it kept moving away it slowly disappeared out of sight. I actually stood there for a few minutes with my mouth wide open staring at the sky. This was like nothing I’ve seen before. it was big and bright and made no sound. I didn’t see any air traffic around for several minutes. I know the patterns the planes take as they approach the airports or take off. I also see fighter jets as they take off from Carswell, they usually fly very high once they get this far. 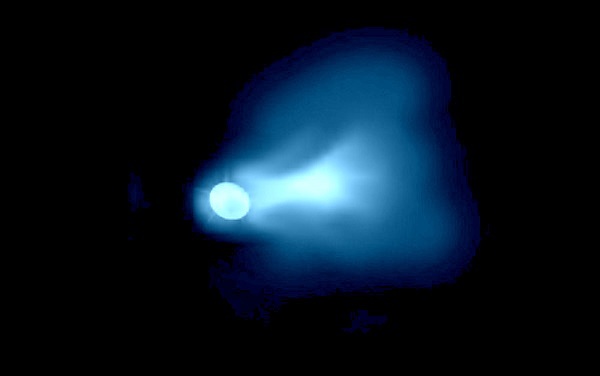 This object was within our atmosphere. Hard to tell how high but to guess 5,000 ft or less. At that height I would guess it was 300 feet in diameter. It emitted its own light, not a reflection. NOTE: The above image is a rendering. 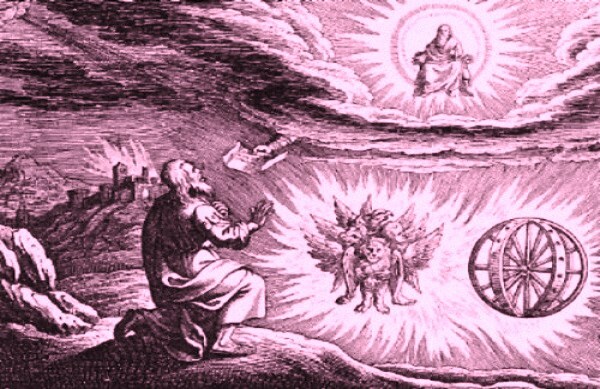 Of all the UFO accounts in the Bible, the one mentioned most often is Ezekiel’s Wheel. One of the passages reads: “This was the appearance and structure of the wheels: They sparkled like chrysolite, and all four looked alike. Each appeared to be made like a wheel intersecting a wheel.” (Ezekiel 1:16) The following is an analysis of Ezekiel chapter one that is based on the work of NASA engineer Josef Blumrich. Of all the UFO accounts in the Bible, the one that I hear mentioned most often is Ezekiel’s Wheel. Many people claim that Ezekiel clearly describes a UFO in the following passage: Ezekiel 1:16 (NIV) This was the appearance and structure of the wheels: They sparkled like chrysolite, and all four looked alike. Each appeared to be made like a wheel intersecting a wheel. So I thought about this. What is the craft shown above? 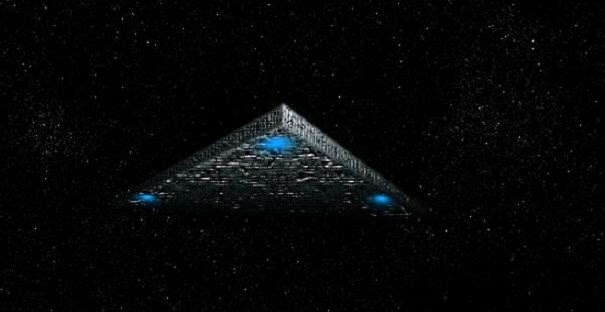 It still seems rather mystical looking, and even if it is a spacecraft, it really doesn’t make the story told in the book of Ezekiel any clearer. The rest of his narrative still seems pretty confusing to me. While I was wondering about all of this, a friend passed on a book written by NASA engineer Josef F. Blumrich entitled The Spaceships of Ezekiel. This book concludes that the passage shown above wasn’t the whole story. Blumrich agrees that the “wheel within a wheel” was extraterrestrial, but he goes one step further and claims that it only describes a small part of the craft. According to Blumrich, the whole chapter was a detailed description of an encounter with an UFO. Even the story behind the book is very interesting. Blumrich notes that he began researching the topic in response to Erich von Daniken’s book Chariots of the Gods. In the forward to his book, Blumrich states that he “began to read von Daniken with the condescending attitude of someone who knows beforehand that the conclusions presented can by no means be correct.” In otherwords, he thought von Daniken was full of it and was going to set out to prove it scientifically. What he found, after an extensive amount of research from an engineering point of view, was just the opposite. He went from an extreme skeptic to becoming convinced that the book of Ezekiel was a real accurate and detailed account of an encounter with extraterrestrial visitors. Very interesting coming from a person who is not a religious zealot by any means and is about as far as you can get from a gullible person who might be prone to jump to conclusions. Ezekiel 1:4 (NIV) I looked, and I saw a windstorm coming out of the north–an immense cloud with flashing lightning and surrounded by brilliant light. The center of the fire looked like glowing metal and in the fire was what looked like four living creatures. In appearance their form was that of a man. KENS NOTE: Check out the full account and analysis by www.ufoevidence.org. Incredible information. You can also GOOGLE ” Ezekiel’s wheel “. 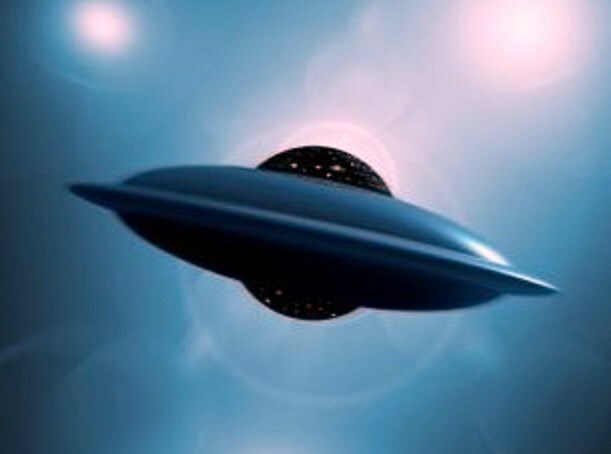 Our whole family’s close encounter with a UFO at approximately 7 pm back in February of 1969, in East Canaan Connecticut. My recollection of the event is as follows. We and my Mother, Father, sister and myself were heading North up our driveway in our car. We got about halfway up our drive when a bright multi colored object about 60 feet in diameter appeared in front of us at about 500 yards in front of our car we were facing in a North Direction. It hovered at about 500 feet above ground for about 45 seconds above a tree line that was across Route 44 at the top of our driveway. The craft made a humming type of sound then the craft elevated in a bright green flash and disappeared in a North Westerly direction. The night was very crisp, clear and very very cold and after the craft disappeared we agreed NOT to say anything about this event. The craft itself was greyish silver in appearance and resembled a childs antique spinning top. 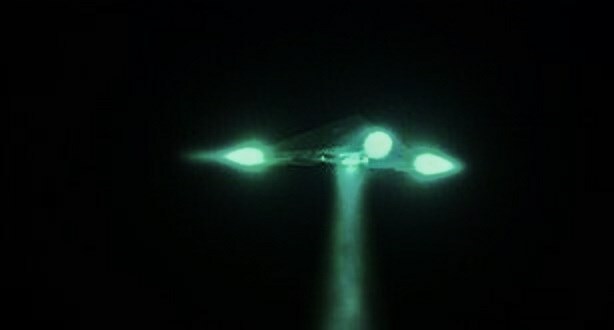 It was about 60 feet wide and about 20-40 feet tall and it had circular pulsating lights in the middle of the craft. There were also small portal type windows above the circulating lights and the lights seemed to rotate in a clockwise motion, then reverse direction to a counter clockwise motion. That same year in September about 4 miles away in Ashley Falls Massachusetts in Berkshire County one of the worlds most scrutinized and studied UFO abduction cases to date took place as well. Up until 1 week ago after seeing a new UFO show on The Science Chanel about that abduction case in Ashley Falls Mass, I had no idea this event and several others like it involving the same individuals as the first Ashley Falls Mass sighting in that area even occurred. I thought I and my family were the only ones who saw any type of UFO and that there was no other UFO activity in that surrounding area at very close range. We saw this craft at less than 500 yards away at about 500 feet above ground hovering for almost 1 minute. Our family agreed never to speak about this event minutes after it happened and for all intents and purposes none of us ever did until now. I have been seeking answers as to why 1 week after our sighting I had a recurring 3 year nightmare/dream. I post this interview so that you all may listen to this and possibly if you yourself had an event you might come forward and speak of it with someone or share it. I will be seeking council with a world renowned UFO abduction hypnotist and I myself will be hypnotized and hope to find out why my dreams happened over and over and what happened after the nightmare and dream state paralysis ended and my memory faded each time. I also taped this interview as this is the first time in over 40 years I have actually talked with my mother about our sighting and wanted to confer with her and possibly gain some new insight or possibly remember parts of the event that were forgotten in my memory. This event was real and it completely changed/ altered my mind and it is my hope, that with all I have been through with relation to this event as recently as 2011, to gain some sense of WHY !!! NOTE: The above image is a rendering. As many as twenty UFOs were seen and tracked by ground radar and at least six airplanes during the night of May 19, 1986 over several states in southeastern Brazil. Unidentified radar returns were tracked by airports in São Paulo and the Integrated Air Defense & Air Traffic Control Center (CINDACTA) in Brasilia. Two F-5E and three Mirage jet fighters were scrambled from Santa Cruz AFB in Sao Paulo State, and Anápolis AFB in Goias State. The case was discussed openly by high ranking government officials. It was first reported by Colonel (Ret.) Ozires Silva, president of the state-owned oil company Petrobrás, who was flying on an executive Xingu jet, when he and the pilot saw and pursued unidentified objects for about 25 minutes. The incident was covered widely in the Brazilian media, leading to a press conference at the Ministry of Aeronautics in Brasilia on May 23, with air traffic controllers and air force pilots involved in the scramble mission. The Minister of Aeronautics, Brigadier General Otávio Moreira Lima, was very outspoken: “Between 20:00 hrs. (5/19) and 01:00 hrs. (5/20) at least 20 objects were detected by Brazilian radars. They saturated the radars and interrupted traffic in the area. 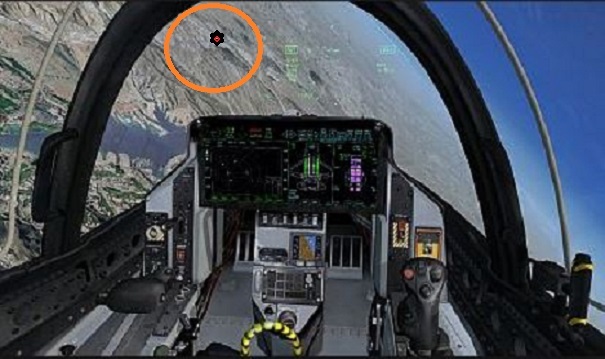 Each time that radar detected unidentified objects, fighters took off for intercept. Radar detects only solid metallic bodies and heavy (mass) clouds. There were no clouds nor conventional aircraft in the region. The sky was clear. Radar doesn’t have optical illusions. “We can only give technical explanations and we don’t have them. It would be very difficult for us to talk about the hypothesis of an electronic war. It’s very remote and it’s not the case here in Brazil. It’s fantastic. The signals on the radar were quite clear. The Minister also announced that a commission would study the incident. Air Force Major Ney Cerqueira, in charge of the Air Defense Operations Center (CODA), was equally candid: “We don’t have technical operational conditions to explain it. 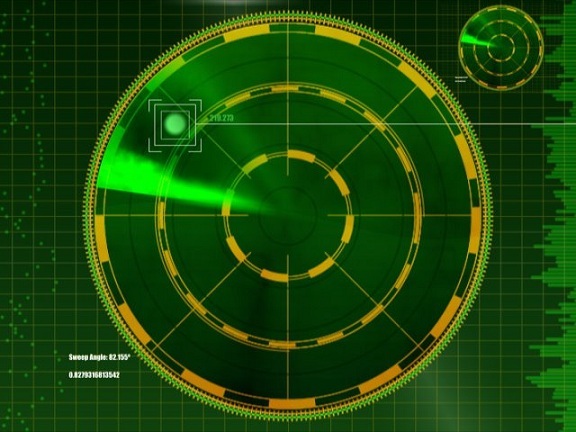 The appearance and disappearance of these objects on the radar screens are unexplained. 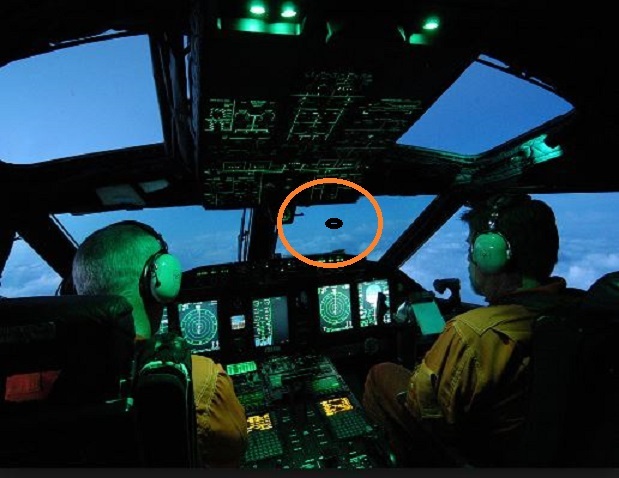 They are Unidentified Aerial Movements… The technical instruments used for the identification of the lights had problems in registering them. CODA activated two F-5E and three Mirages to identify the objects. One F-5E and one Mirage remained grounded on alert. 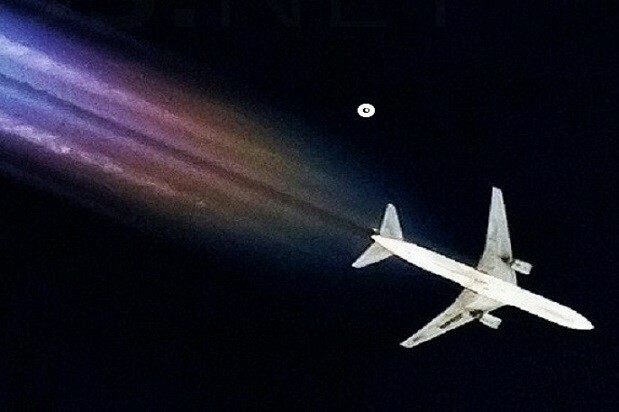 A similar case occurred four years ago [the Commander Brito VASP airliner radar-visual incident in 1982]. The lights were moving at a speed ranging between 250 and 1,500 km./hr. [150 to 1,000 mph] The Air Force has not closed the case. NOTE: The above image is a rendering. Researchers at the University of Minnesota have done away with all that tedious joystick work by developing a mind-controlled quadcopter. It may seem like the top item of next year’s Christmas list, but it also serves a very practical purpose. Using a skullcap fitted with a Brain Computer Interface (BCI), the University’s College of Science and Engineering hopes to develop ways for people suffering from paralysis or neurodegenerative diseases to employ thought to control wheelchairs and other devices. The aim of the Minnesota team led by biomedical engineering professor Bin He is to develop ways of developing thought-control devices that can work reliably at high speed, without the need for surgical implantation. This means extensive real-world testing and, though spectacular, flying is actually a very simple activity in a three-dimensional environment without the complications of obstacles and terrain that a ground vehicle encounters. That’s one of the reason why it was possible to make a plane that flies on autopilot decades before a self-driving car was even considered. So for developing mind-controlled devices, something like a quadcopter is an inexpensive option because is it relatively easy to control the variables of the experiment. The quadcopter used was an AR Drone 1.0 built by Parrot SA of Paris, France. It is configured to fly with forward motion pre-set and the operator is able to use mind control to make it go left or right or up and down. A video camera mounted on the front provides a field of view pointing directly forward, an arrangement designed to promote a sense of embodiment in the operator and enhance feedback. The key feature of the mind-controlled quadcopter was the non-invasive BCI skullcap. Invasive BCI are used for controlling robot limbs and have shown some success, but embedding these are a major surgical undertaking with risks of infection and rejection. Non-invasive versions can avoid these problems we’ve already seen projects that use this approach for controlling wheelchairs and robotic appendages. Even if the ultimate goal is an implanted interface, a non-invasive BCI can help in the process by allowing the patient to become familiar with a BCI before the procedure, especially for a progressive neurodegenerative disorder, such as amyotrophic lateral sclerosis, where early implantation isn’t warranted. KEN’S NOTE: Every once in a while I come across something truly amazing. Could this be a spin-off of reverse engineering of alien craft. Anything is possible these days.